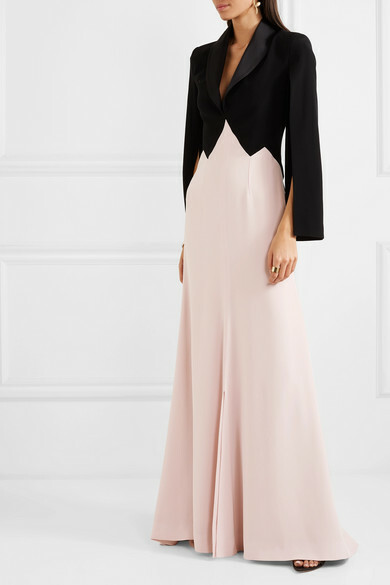 Alexis Mabille's gown is designed to appear like a tailored tuxedo blazer layered over a blush maxi skirt. 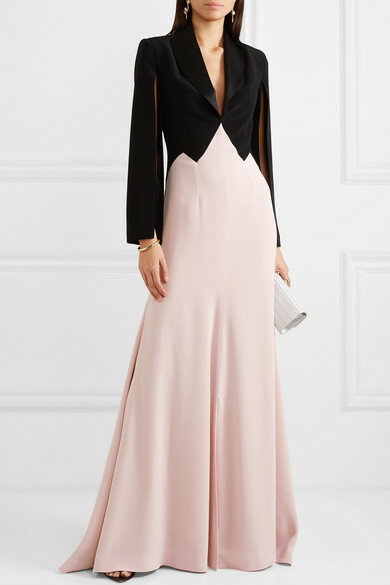 Cut from weighted crepe that's trimmed with satin along the lapels, it has a contrasting waist for a flattering cinching effect and cutout sleeves that are slit to the shoulders. 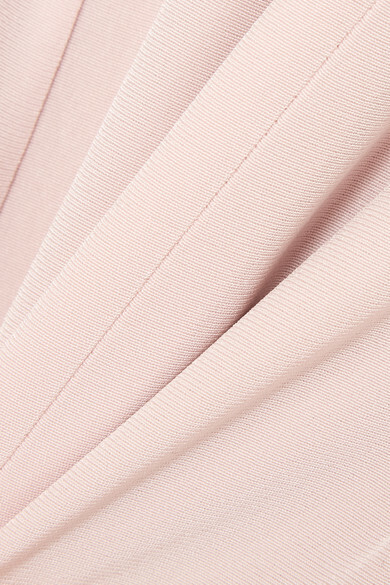 Temper the floor-skimming hem with your highest heels. Shown here with: Jimmy Choo Clutch, Gianvito Rossi Sandals, Beaufille Earrings.